Neon green color. Fruity aromas and flavors of green apple candy, lime gel candy, caramel, and watermelon candy with a syrupy, lively, sweet medium-full body and a smooth, relaxed finish. This liqueur’s big green apple candy flavor will stand out in an appletini. 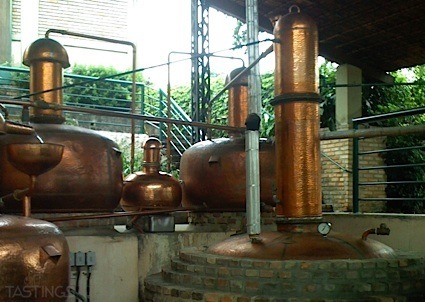 Bottom Line: This liqueur's big green apple candy flavor will stand out in an appletini. 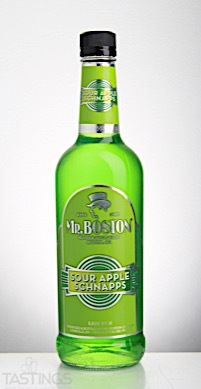 Mr. Boston Sour Apple Schnapps rating was calculated by tastings.com to be 86 points out of 100 on 7/26/2017. Please note that MSRP may have changed since the date of our review.